Cancer surgery is used to prevent, diagnose, stage, and treat cancer. It is the oldest type of cancer therapy and generally works best for solid tumors contained in one area. The goals of surgery range from diagnosing cancer to restoring the body’s appearance or function. 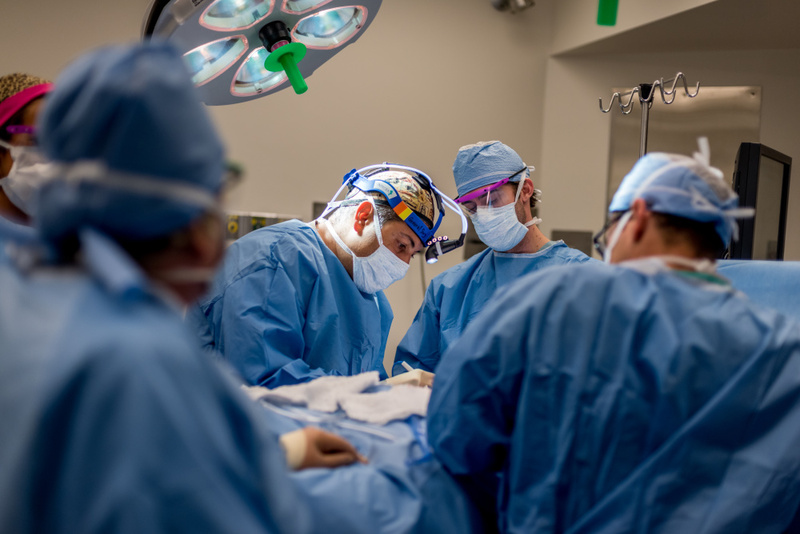 Each cancer type has specific cancer operations that may be helpful – for example, Whipple surgery is performed on patients with pancreatic cancer. One way to diagnose cancer is through a biopsy, a type of surgery that can help confirm a diagnosis, identify a type of cancer, or determine its stage. During a biopsy, doctors will remove a small piece of tissue (a sample) and test it to see if the cells are cancerous. Staging surgery is used to discover how much cancer is in the body and to see how far it has spread. During this kind of operation, doctors examine the area around the cancer and nearby organs. The results can help guide treatment and may indicate how patients will respond to therapies. How Is Surgery Used to Treat Gynecologic Cancers? Curative surgery is performed with the goal of removing the entire tumor, or areas of spread, so there is no evidence of disease. It can be the primary treatment for cancer, and can be used before or after treatments such as chemotherapy and radiation. Debulking surgery removes a portion of a tumor, but not all of it. The surgery is usually performed when removing the entire tumor would cause too much damage to the body. Other treatments, such as chemotherapy and radiation, may be used after the surgery is performed. Palliative surgery does not cure cancer, but is performed to relieve discomfort or correct problems that cancer or its treatment may have created. It plays an important role in improving the quality of life of patients with advanced cancer. Supportive surgery helps make other cancer treatments work effectively. One example is surgery to insert a vascular access device or a catheter to help with chemotherapy. Restorative or reconstructive surgery restores the body’s appearance, or the function of an organ or body part, after major surgery, such as a breast reconstruction after a mastectomy. Preventative surgery removes tissue that is likely to become cancerous even though there are no signs of cancer at the time of the surgery. Though this kind of treatment ideally reduces cancer risk, it doesn’t guarantee cancer prevention. A common example of preventative surgery is mastectomies for women who have a strong family history of breast cancer. Learn more about treatment and care for adults with cancer and children with cancer at Dana-Farber. A nice summary, very helpful. And it’s not uncommon for a single surgical event to have multiple purposes, such as a sentinel node biopsy (staging) done at the same time as a curative surgery (lumpectomy).